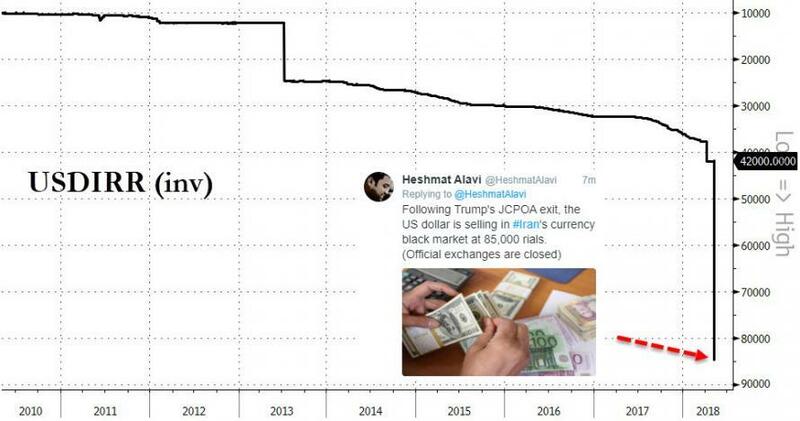 As the collapse of the Iranian rial has led to soaring inflation, leading to protests and civil unrest, authorities are beginning to crack down on "gold hoarders" as Iranians scramble to preserve their wealth by swapping rials for gold, which has the added effect of exacerbating the already troubled currency's decline. In a move that will send a message to others who've buying up large quantities of gold, Iranian police have arrested a man they accused of hoarding two tonnes of gold coins with the intention of manipulating the local market. Tehran Police Chief Gen Hossein Rahimi said the unnamed 58-year-old had collected an estimated 250,000 coins over the past 10 months, working in concert with several accomplices. Police dubbed him "Sultan of Coins." 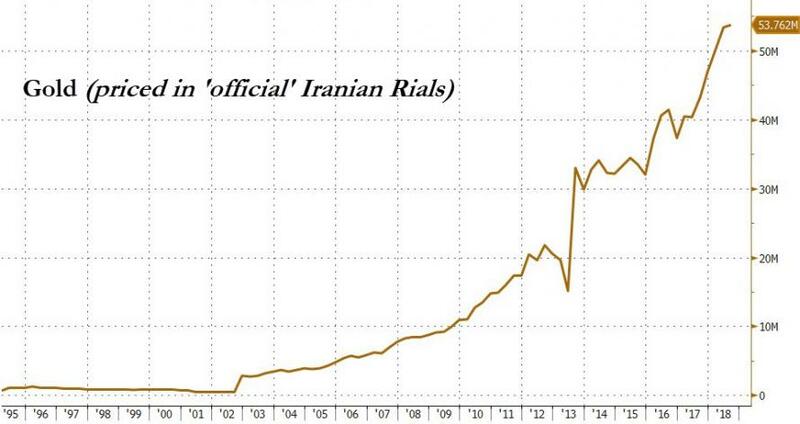 The rial has bounced off its all-time lows to trade at roughly 81,000 to the dollar on unofficial currency markets on Wednesday, according to the BBC. In a scene that mirrored the protests that rocked Tehran in early January, merchants from Tehran's sprawling Grand Bazaar shuttered their stores in what state media described as "a protest against rising prices and a weakened currency." During times of unrest, authorities often try to redirect public anger away from the government by creating a scapegoat - like "hoarders" - and blaming them for the country's economic ills... and - after seeing the chart below, is a full declaration of gold confiscation coming? But with protests continuing in the capital, we'll see if that approach works, or if police will need to fall back on their initial plan: Tear gasing everybody.